Independent test results found mold on medical marijuana sold in the Valley that would not meet standards in some other states. Unlike most states with medical marijuana programs, Arizona does not establish contaminant standards for cannabis or require that cannabis products be tested in any way. An independent lab tested four cannabis flower products from Encanto Green Cross Dispensary in Phoenix after former employees complained to CBS 5 Investigates about issues with mold. Of the four samples tested by Delta Verde Laboratory, three showed “total yeast and mold” levels that would exceed safety limits set by states like Colorado, Washington and Massachusetts. “It should be pulled off the shelf, absolutely,” said lab director Jim Clark of the three products that exceeded the other states’ threshold. In an interview, Encanto Green Cross managing member Bill Brothers dismissed the lab results as unreliable and insisted the dispensary had no ethical or legal obligation to remove any cannabis from sale. Arizona's Family toured Encanto Green Cross, located near Interstate 17 and Encanto Avenue, for a report in October. Not long after that report, former employees began reaching out to say we missed something: issues with mold. 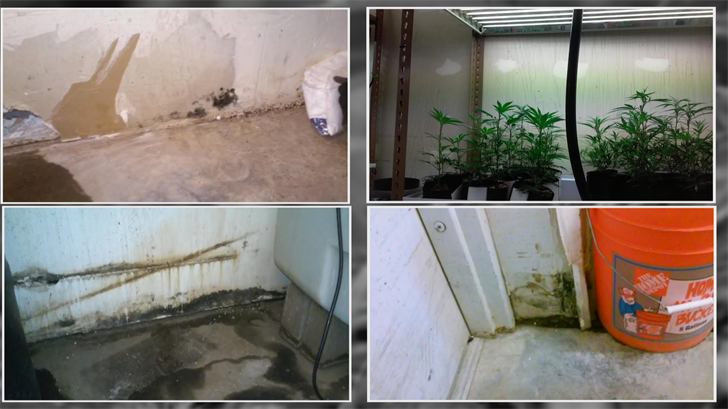 Encanto is the only dispensary we received complaints about; however, mold is an industry-wide concern. Arizona’s Family began contacting other former Encanto employees and current members of the cannabis industry. Each former employee provided state-issued identification to verify they once worked for the dispensary. Five former employees of Encanto and two employees in related businesses said they witnessed or heard about concerns with mold at the dispensary they considered unusual. Former cannabis trimmer Matthew Love said he regularly saw moldy cannabis. “There's not a single day that I've had gone by not having to see someone, one of the trimmers, wearing a mask while they're trimming because of the smell or the odors from the moldy flower that we would trim,” he said. “I was having personal, adverse reactions to some of the flower. Like, I'd develop rashes and start itching out of nowhere some days,” he said. Love said all the trimmers were under pressure to turn in a pound of trimmed cannabis in every eight-hour shift. Former security guard Zackary Padilla provided pictures of mold outside grow rooms earlier this year. One picture in late January shows streaks of condensation on the wall inside in a cultivation room. Padilla also provided emails showing he complained about mold to his supervisors from January through March of 2017. “Can we get an update on where we're at with this, and then it would be crickets. No response. No update. And as I would walk around, I would notice these problems weren't fixed. These problems were getting worse,” he said. Both men said they were fired after raising concerns. The dispensary says the men were fired for serious misconduct. An attorney for the dispensary sent Padilla a cease and desist letter in April citing breach of contract and other claims. Both Love and Padilla say the Arizona Department of Health Services came in to inspect Encanto this year, but the state's findings are secret. "The statute prohibits you, prohibits the Health Services Department from giving whatever enforcement action they're taking. You can't find out about it," said former ADHS director Will Humble. Humble said the department is prohibited from releasing all compliance, enforcement and inspection records by statute. "It's not DHS’ fault, that's the voter-approved language [of the Arizona Medical Marijuana Act] that says that,” Humble said. 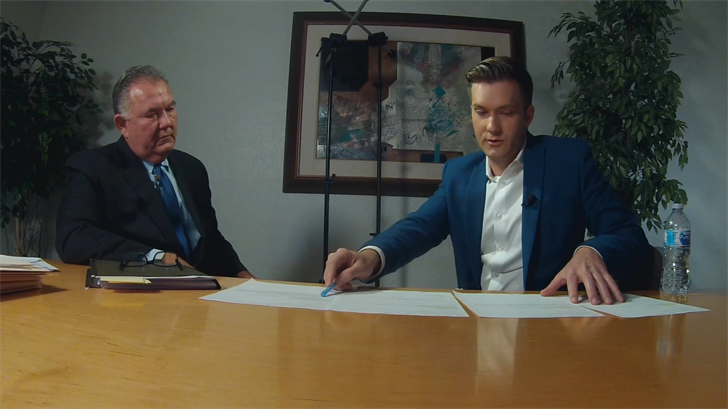 CBS 5 Investigates requested Encanto’s inspection reports from the dispensary last week. Wednesday night, Encanto emailed a one-page report showing it was cited for two deficiencies in an Oct. 5 inspection. The dispensary also provided a one-page response from the state showing its corrective action plan had been accepted. showing its products passed safety tests. However, the online testing summary does not indicate when products were tested. Encanto provided invoices for test results showing at least 37 samples were tested at C4 between Aug. 21 and Oct. 10. The independent lab screened for pesticides and did a visual inspection with a microscope for "foreign matter,” including mold. But according to two lab directors, those visual tests can miss a lot of micro-organisms. CBS 5 Investigates decided to pay for a common test that can detect mold levels that are invisible to the foreign matter screening. We arranged to have a medical marijuana cardholder buy four different strains of cannabis flower products at Encanto, then took the samples to Delta Verde Laboratory, whose laboratory director formerly worked for the Arizona Department of Health Service’s state laboratory in food testing. The lab found mold present on all four samples, which is normal. Mold is naturally occurring and appears just about everywhere – it’s the amount that matters. Medical journals have documented a handful of cases where patients with compromised immune systems got infections like fungal pneumonia from moldy marijuana. But there is "currently no universally accepted standard" for how much mold is safe. While Arizona has no safety testing standards for marijuana at all, states like Colorado, Washington and Massachusetts establish a threshold standard of 10,000 colony-forming units per gram. Three of the four samples exceeded the 10,000 CFU standard. “That doesn't mean this material necessarily is going to be injurious to anybody's health, but it's clearly not a desirable situation to have a high level of microbial contamination,” Clark said. Citrus Sap - 3,100 cfu/g Agent Orange - 12,000 cfu/g Blue Dream - 20,000 cfu/g Valentino OG – Too numerous to count/estimated 300,000 cfu/gThe most contaminated sample, sold under the brand Valentino OG, had mold levels that were off the charts: what the lab calls “too numerous to count.” Using techniques to estimate the number of colonies rather than count them, the lab estimated the sample had 300,000 CFU. In an interview, Brothers, the dispensary boss, acknowledged Encanto had mold in a “water irrigation purification chamber” earlier this year. “It was adjacent to three reverse osmosis systems that were designed to purify the water. There was a leak. That leak sprayed on the wall. After a period of time, mold arrived. It was never at any point in time inside of a cultivation room [or] at any point in time did it come in contact with the plants or the flowers,” Brothers said. When presented with the lab results from Delta Verde, Brothers brushed off the results, saying the dispensary should not be judged by standards in other states and suggesting the samples might have been contaminated by the cardholder who delivered them to the laboratory. The cardholder was unaffiliated with any of the sources used in this story. CBS 5 Investigates recorded and followed the cardholder during transit. Brothers also suggested that all lab results from independent testing facilities should be considered unreliable because no facilities are “certified” by the state. The State of Arizona does not certify facilities for cannabis testing because it does not mandate testing of cannabis in the first place, according to a spokesman for the Arizona Department of Health Services. “If there are no certified laboratories, how can you trust any results regarding cannabis in the state of Arizona?” Brothers asked. “How can we trust your results?” responded reporter Derek Staahl. “My results are in-house and they're not for public use,” Brothers said. In addition to outside testing from C4 Labs, Brothers said Encanto does its own internal testing with paid chemists on staff. Brothers stressed that Encanto does not have a mold problem but said he would support legislation for mandatory testing requirements because other dispensaries may be using harmful pesticides.